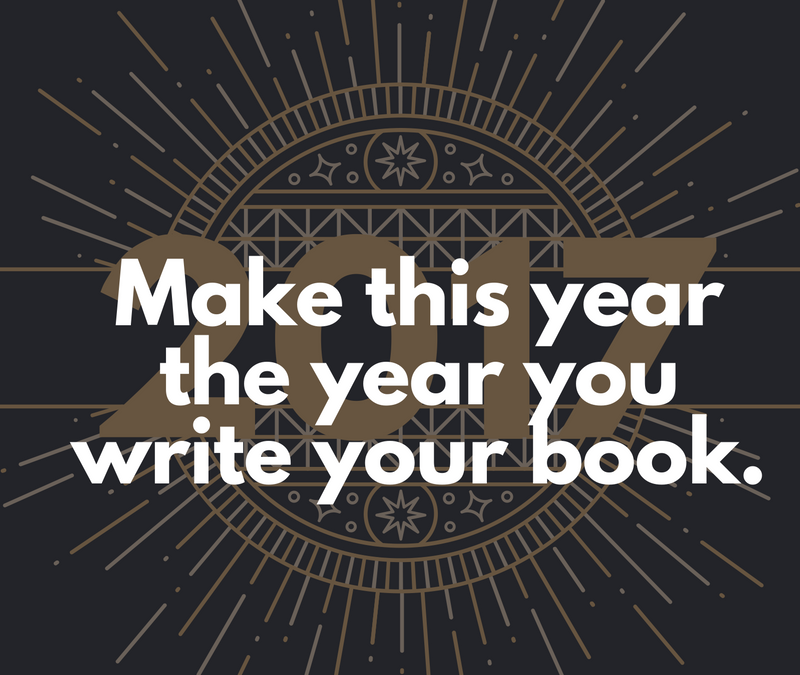 Kickstart your writing and get those words on the page. If you’re anything like me the ringing in of a new year comes with a whole lot of resolutions or at least some vaguely shaped plans for what you would like to achieve in the next 12 months. For the last few years ‘write a book’ has been at the top of that list. I’m happy to say that I have actually done that since 2012 with my fourth book, The Crossroads , released in December 2016. As usual,in 2017 my top resolution/goal will be ‘write a book’. Over the years I’ve worked out some strategies to keep the words flowing and thought I’d share this revised post here, as the first post on the Justwrite website, in the hope of inspiring others to get writing and stay writing. 1. Set a daily word goal. When I’m in writing mode I aim for 2000 words a day. While I’m not always reaching it I’m not beating myself up if I don’t. Any progress is good progress. And a page with words on it is better than a blank one regardless of the quality of those words. 2. Keep in touch with other writers. Closely. Join the FB group #1000wordsaday – seeing other peoples word counts encourages you to get yours done. Team up with a writing buddy and send daily text messages to check on each other’s progress. Become part of a writer’s group that meets regularly. Master the art of giving and receiving feedback. 3. Use the pomodoro technique for word sprints. If you haven’t heard of it this is a focusing method based on doing the task for 25 minutes, taking a five minute break, doing another 25, a break and so on. It pushes you to concentrate for a relatively short space of time, gives your brain and body a rest. Try to get up and walk around or stretch in the break and reward yourself with cups of coffee or whatever your personal treat happens to be. Just google pomodoro technique. 4. Don’t worry about the quality or if it’s a cliché or the wrong word, just get it down and remind yourself you can fix it later. 5. Use research to help inspire your writing. Look for articles online and in print that connect to your novel and bookmark them. 6. Read every day, for pleasure but also as a writer. Take note of the character development, the way the author interweaves thought and action, plot, structure, dialogue techniques. No matter what you’re reading there are lessons you can take away for your own writing. 7. Stay in the dream of your story. If you’re writing every day the characters and story stay with you when you’re washing up, driving or in the shower. You’ll find yourself coming up with snippets of their backstory and having impromptu conversations with them. They’ll become so real to you which that making them real for your readers will be a cinch. 8. Jot everything down. Those thoughts that come to you in the middle of the night or when you’re walking down the pasta aisle in the supermarket need to be caught immediately. If one of them surfaces as you’re procrastinating on facebook or scrolling through twitter write it down in your notebook or in the notes section of your phone. If something about another part of the story comes up while you are actually working on it, make a note. Harnessing those thoughts while they’re present means you won’t forget them. You will be continually adding to the pile of information you are building up about your story. 9. Come up with a word for the year. The trick is to let the word come to you rather than forcing yourself to choose something you feel you ‘should’. My word in 2016 was Discipline. While I’m not so sure I developed a lot of it, remembering it was a reminder of what I was aiming for. In 2017 my word is Organised – which goes hand in hand with Discipline. I hope! 10. Find a balance between being kind to yourself and staying on track. As I mentioned at the beginning I set a daily goal of 2000 words when I’m working on a book. Quite a few days I only manage 500-600. When I was hurtling toward my deadline for The Crossroads I managed 14,000 words in 5 days – the most I’ve ever written in that time period – and I did that by doing pretty much all of the things I’ve listed above. Set word goals, reward yourself with your favourite Netflix show or a visit to a coffee shop – whatever it is that helps you chill out. But then get back to the writing. So, there you have it, my top ten tips (because there were actually ten when I wrote them down and not because it’s a nice round number). I hope 2017 is the year you write your book and that some of these ideas help. I’d love to hear how your writing is progressing and what tips you have for keeping the words flowing. If you need any help check out my No Excuses Coaching Program and my exciting New Courses for 2017. What a great list. I am sharing this post as I believe all those tips to be extremely helpful. I have never hear of #3. I’m going to give this a go. Thank you so much for sharing your experience, Pamela. Thanks Megan. So glad the tips are helpful. Good luck with your writing. Thank you for the list. This is the year I will finish my novel. I wanted to write “hope to finish” but I’m trying to be positive and prophetic. Do you ever just struggle to get the words out? I’ve never gotten very far. I just don’t seem to be able to let it flow. I’m an avid reader and have read virtually any and all writing books out there. I have the knowledge and the ideas, but can’t seem to go from there. Hi Angela, you’ve made a great first step by getting rid of the ‘hope to finish’. Getting the words out is a struggle a lot of the time, especially when you’ve had a break from it for a while or when you’re starting a new project. I’ve found that the only way to do it is to make yourself sit down and do it. There’s no easy way out. I’m going to be posting writing tips on my website every week so please keep checking in. I also have a No excuses, just write’ boot camp type program designed to inspire you to write daily. Let me know if you’d like more details and I can email you some information.Cheers and thanks for getting in touch.